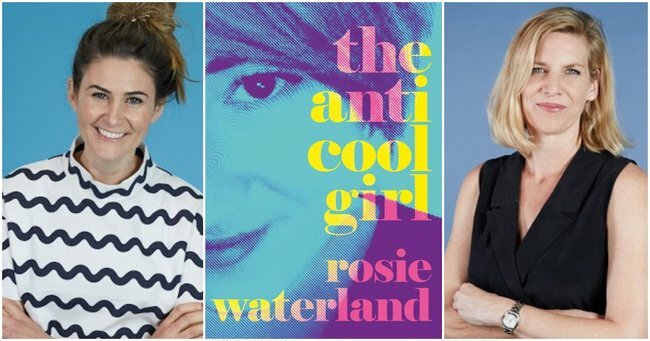 Book Club: Rosie Waterland's confronting and hilarious memoir. Imagine being doubled over from laughing, only to stand up and be punched straight in the guts. This is the book that will do that to you. I picked up Rosie Waterland’s novel, The Anti-Cool Girl at the airport, ready to have a light read during my flight. As a fan of her writing, knowing her Bachelor recaps inside out, I was expecting a rollicking romp through Rosie’s hilarious life. I was utterly unprepared for what happened next. There weren’t enough tissues in that tiny cabin toilet to contain the surge of tears that flowed, both of laughter and of sadness. Anyone expecting this to be a repeat of Rosie’s Bachie prose will be surprised by the depth of this novel. What is uncovered, is so raw and beautiful, it will make you love her even more. It’s equal parts chest-thumpingly funny and gobsmackingly shocking. Critics have compared it to Lena Dunham and Amy Poehler, a millenial memoir of such, but to me, it’s neither. It’s blisteringly original. This debut novel from one of the most exciting writers in the Australian landscape is absolutely brilliant. And whilst the humor is black, the writing is like a lightning bolt. There is SO much to unpack. A fan of Leane Moriarty’s Big Little Lies? Tap that here.